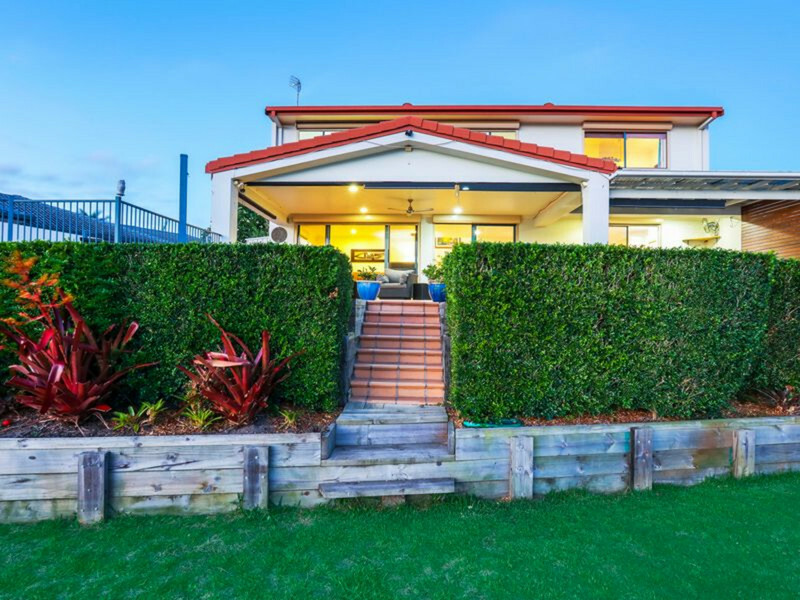 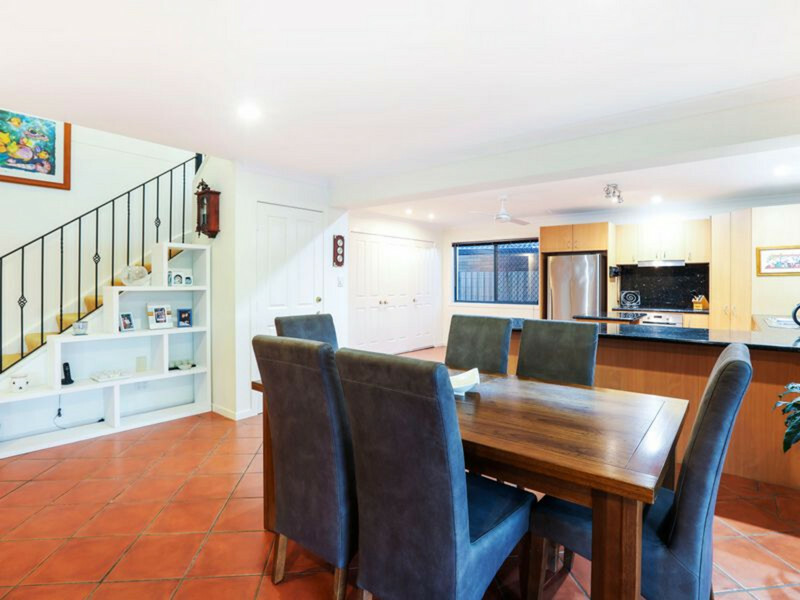 Welcome home to 12 Welby Street, a deceptively large, lovingly maintained property the whole family will adore. 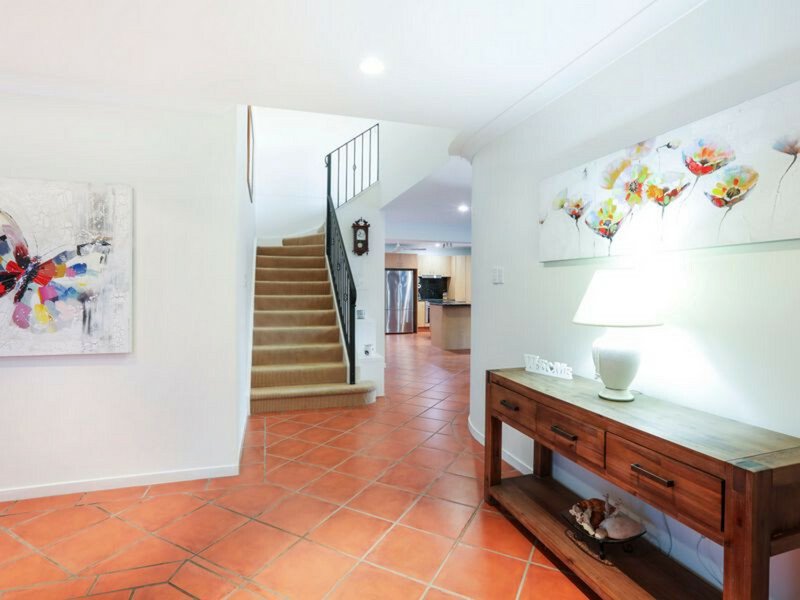 Welcome home to 12 Welby Street, a deceptively large, lovingly maintained property the whole family will adore. 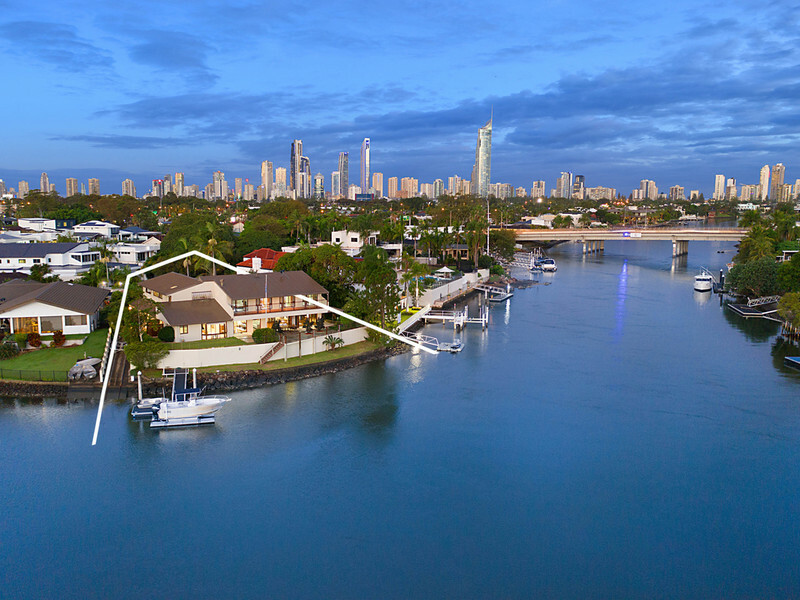 Boasting 354m2 of impeccably presented living space, an idyllic lifestyle awaits on this generous 817m2 block with 25.5m of wide waterfrontage. 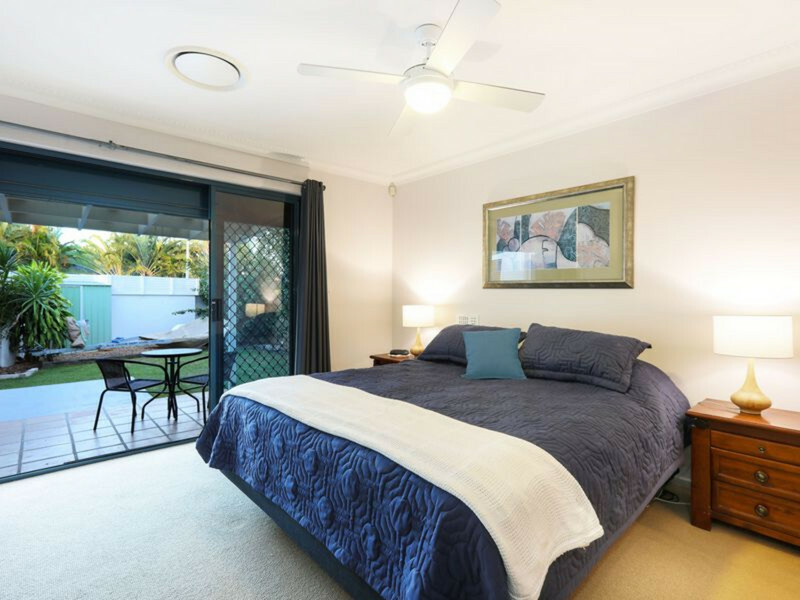 Featuring 4 bedrooms + study, the master suite enjoys a secluded position, along with a private courtyard, ensuite and walk-in-robe with bedrooms 2 and 3, also downstairs, with built-in-robes and share access to the neat and tidy bathroom. 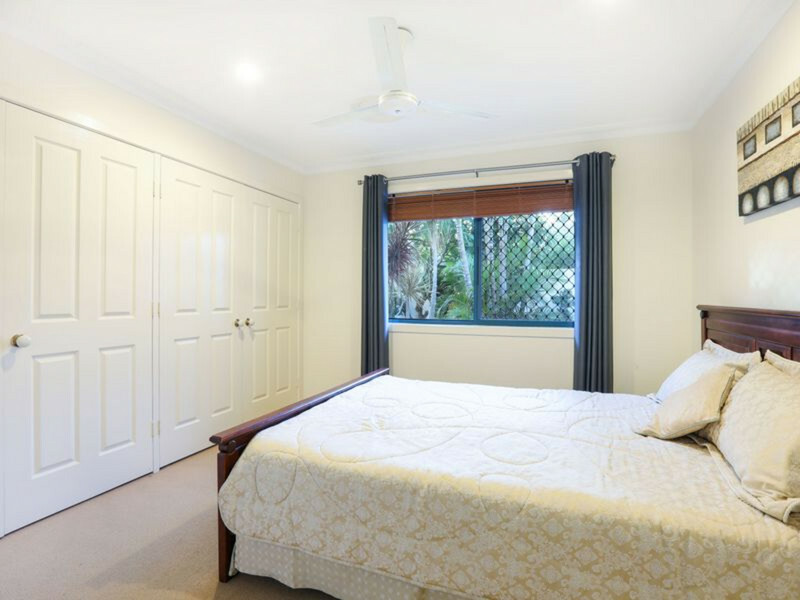 The 4th bedroom and study await upstairs, along with another bathroom, with the study easily able to be converted to a 5th bedroom. 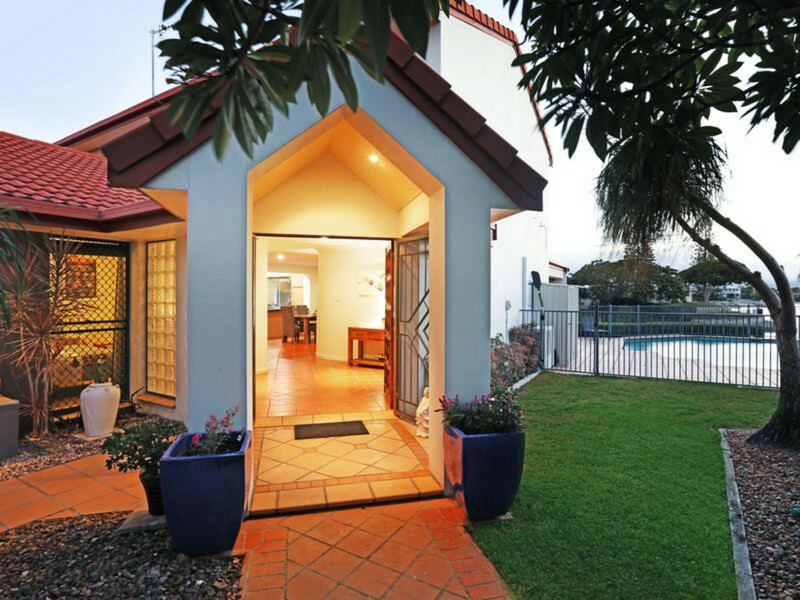 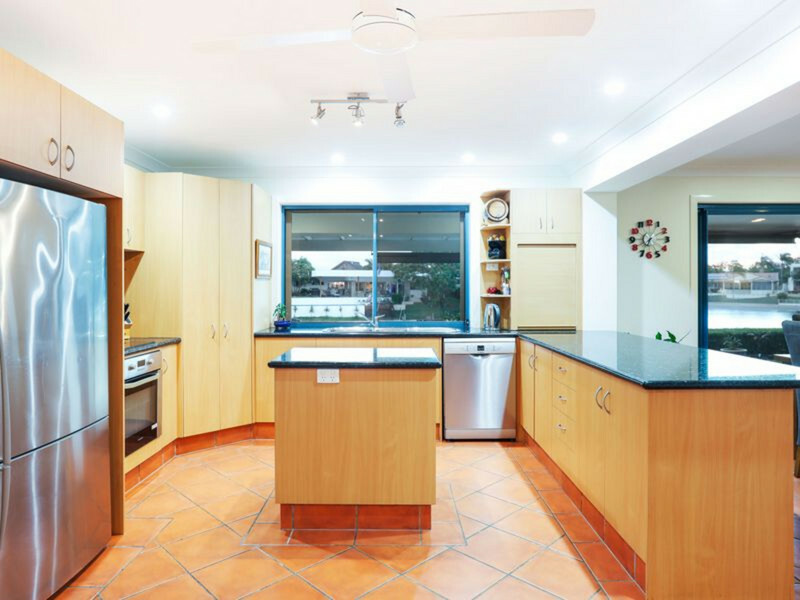 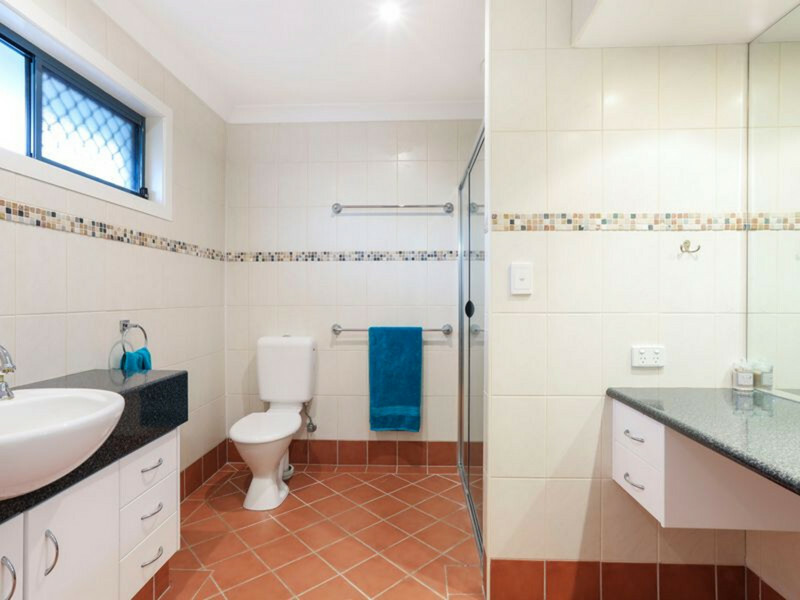 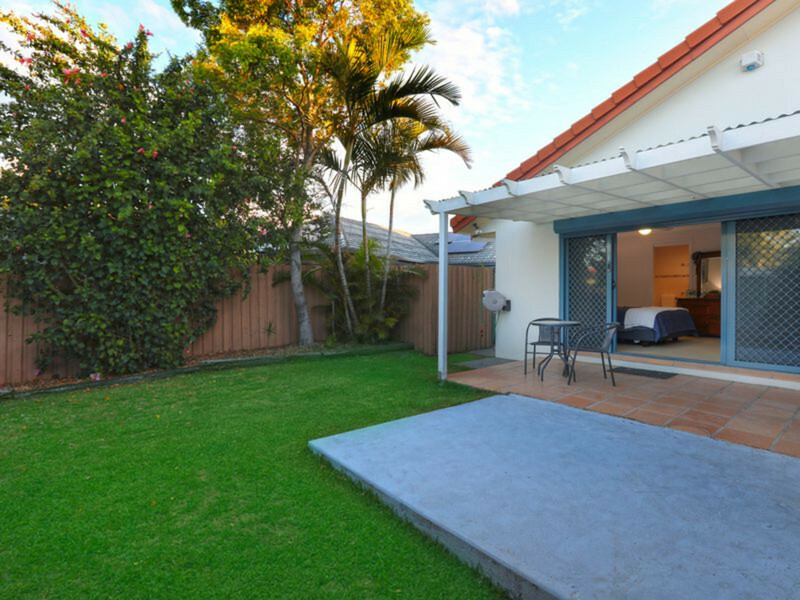 Spacious and stylish, and situated on a tranquil street, you’ll be spoilt for choice with areas to entertain or unwind. 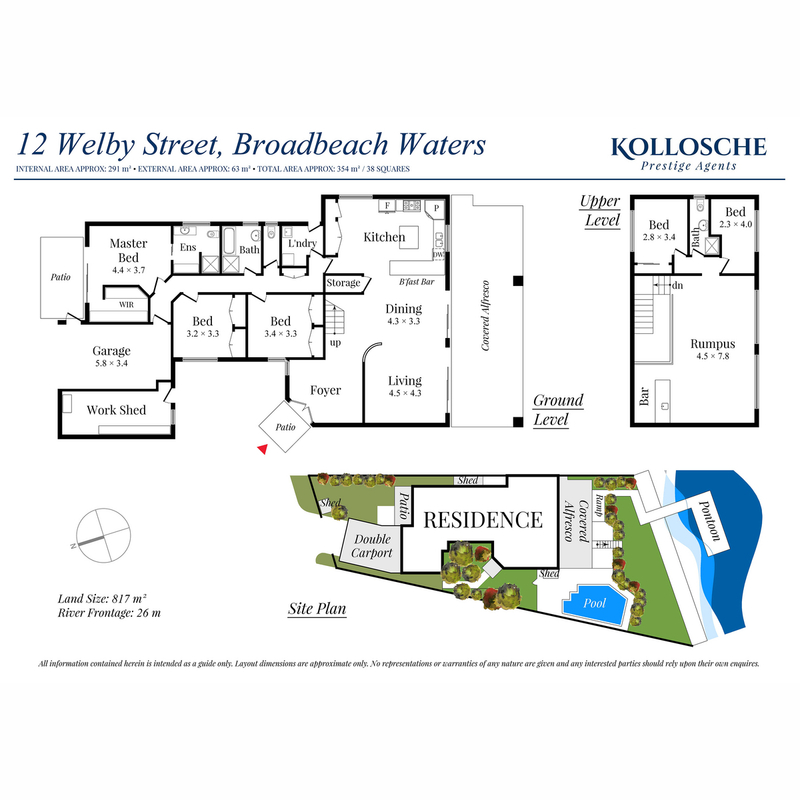 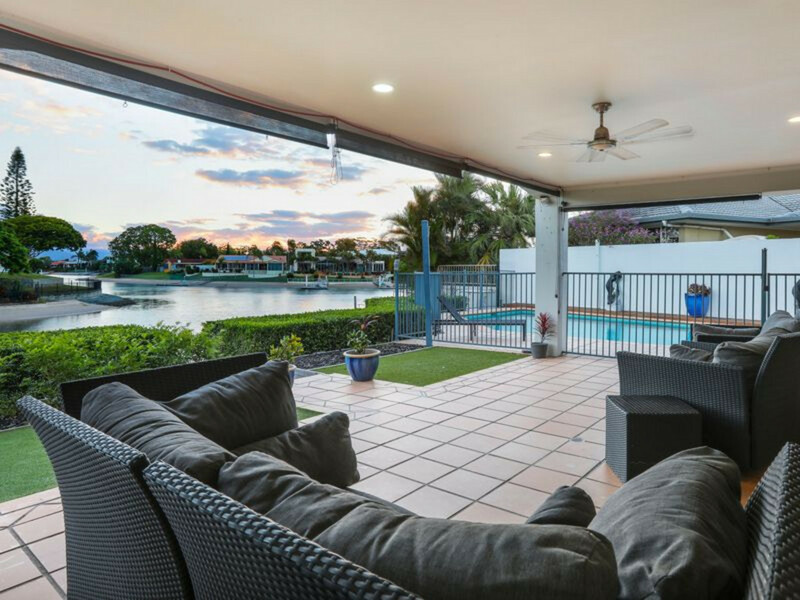 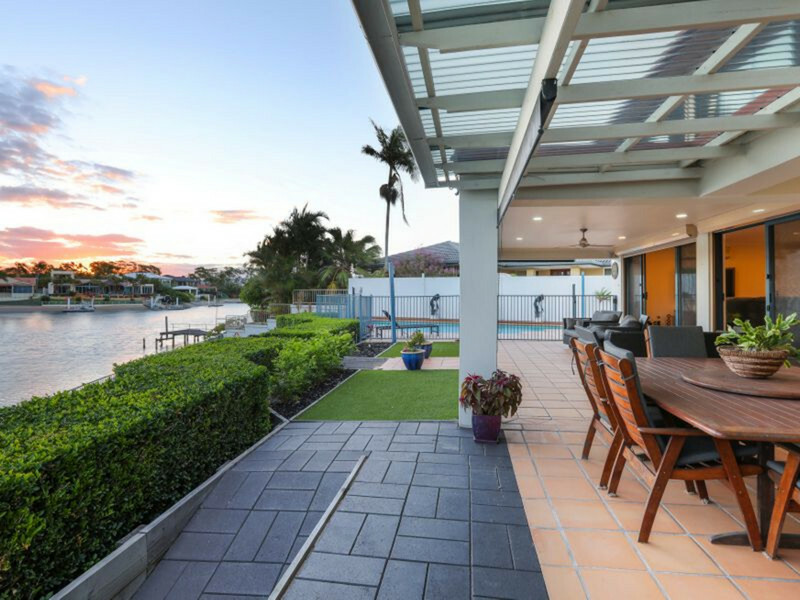 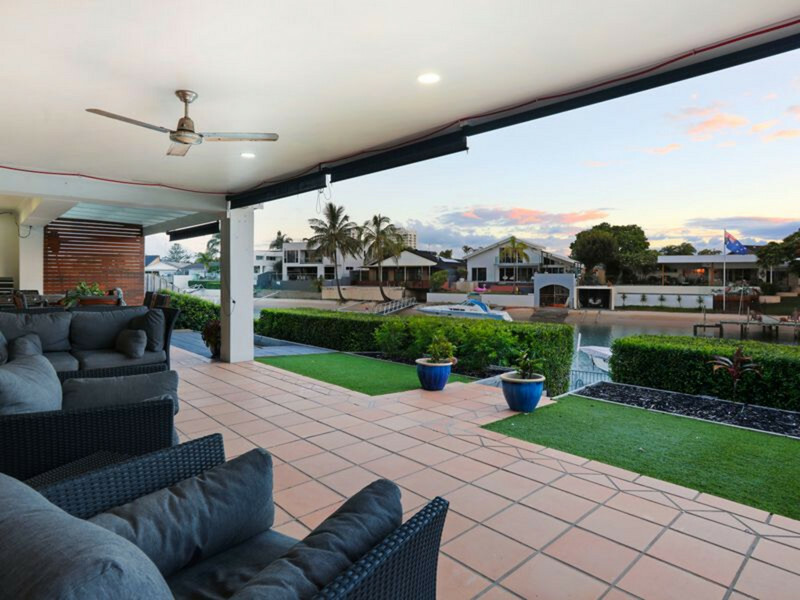 Select from the open plan living, dining and kitchen which overlooks the waterways and spills out to your covered alfresco area, or retreat upstairs to the rumpus room with wet bar, also with enviable water vistas. 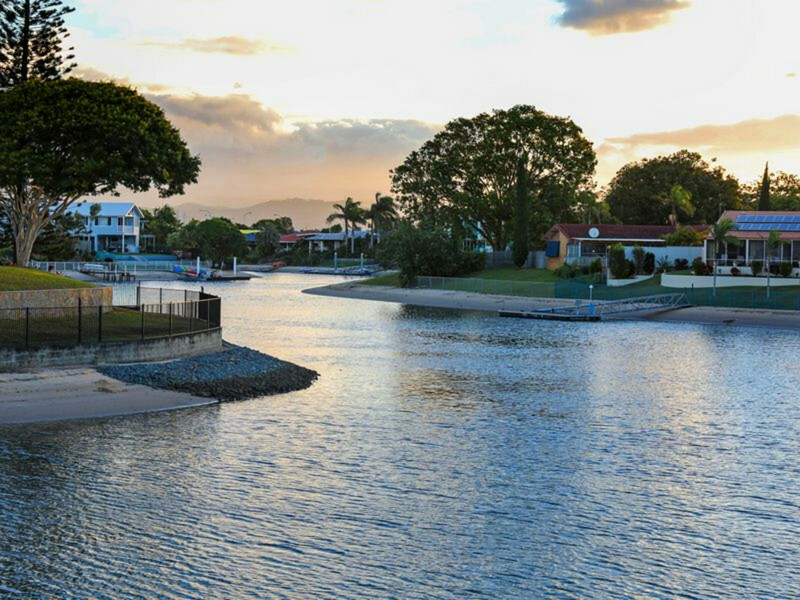 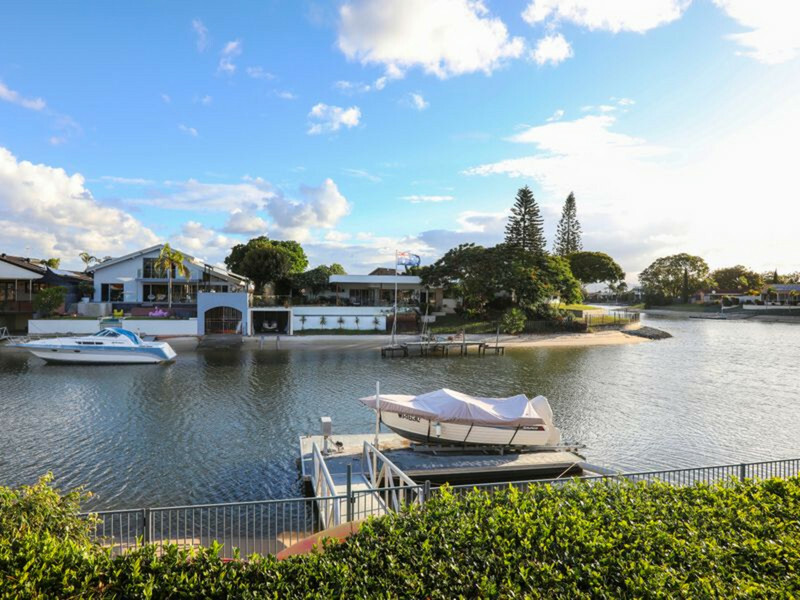 Outdoors has been thoughtfully zoned into dining and relaxing spaces, with the tiered, lush gardens stepping down to the waters edge, with a pontoon with full power and water on offer for the boating enthusiast, along with a large inground pool, perfect for year-round fun. 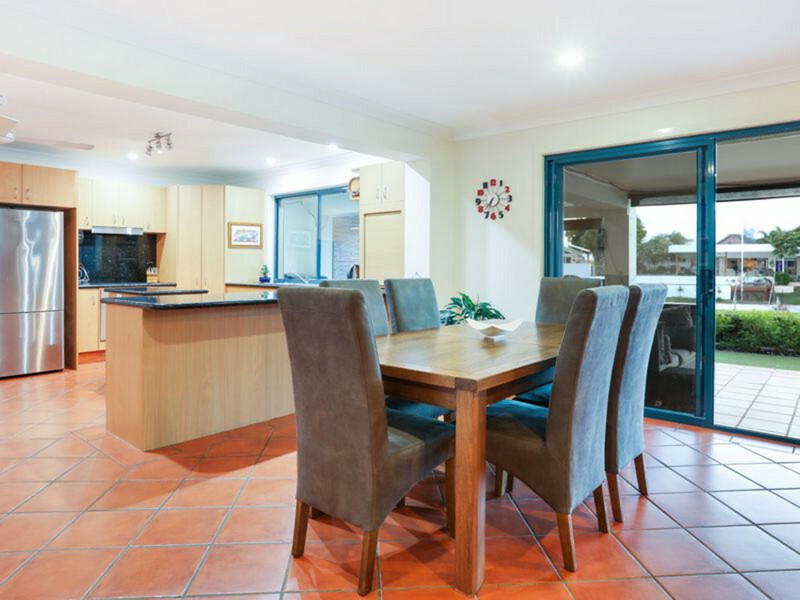 Whether it’s to fit the whole family now or to meet the needs of your family as you grow, this is the perfect place for you to next call home. 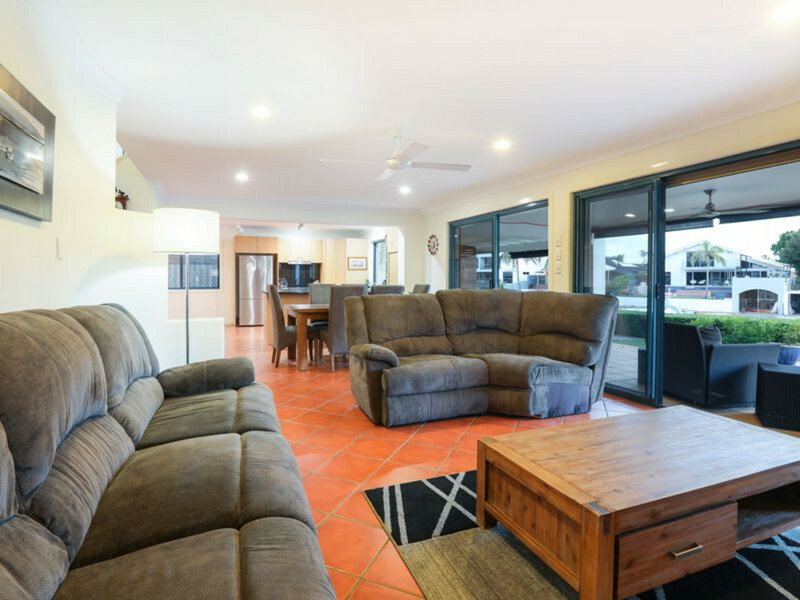 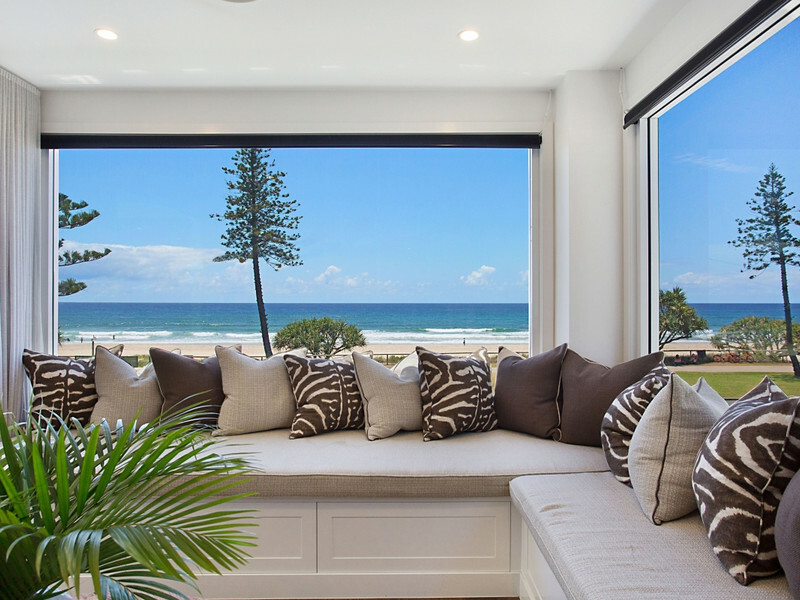 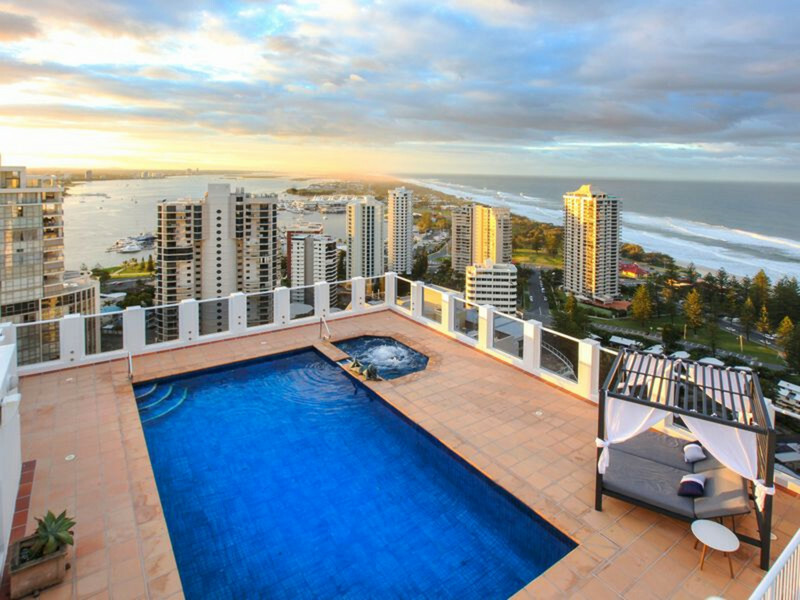 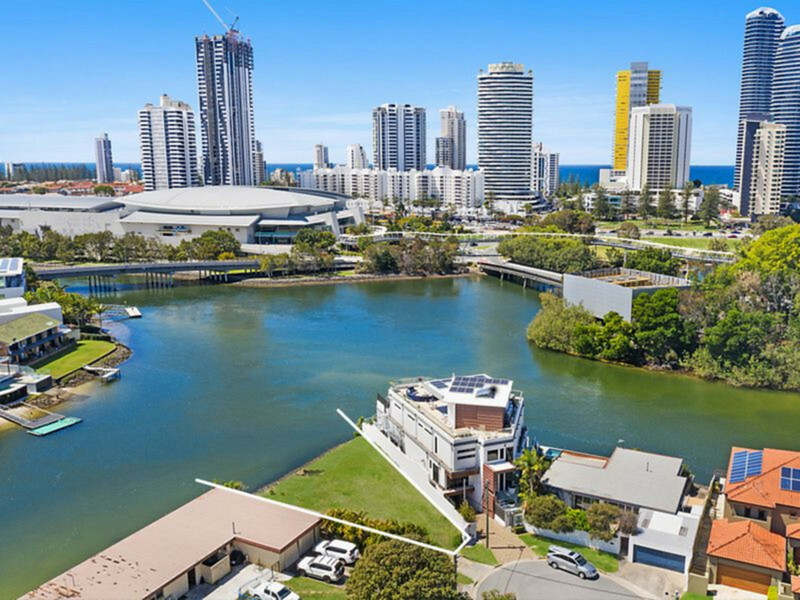 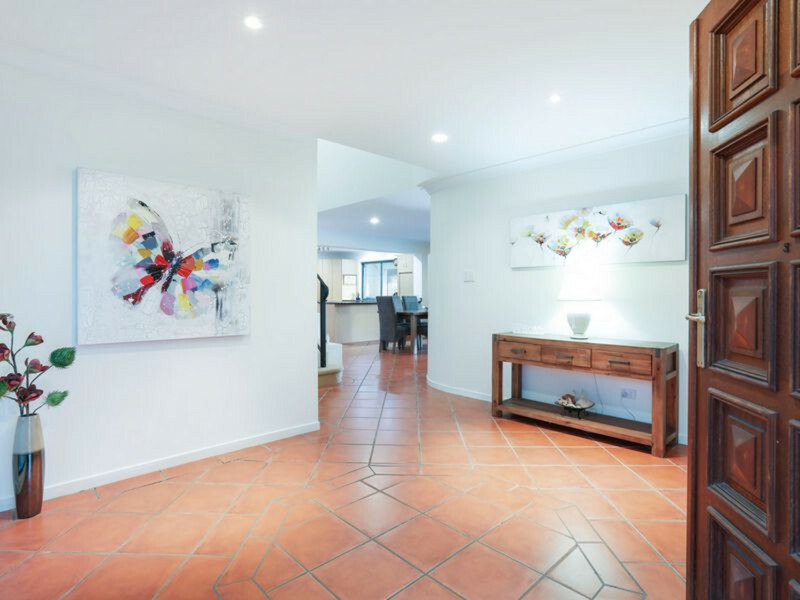 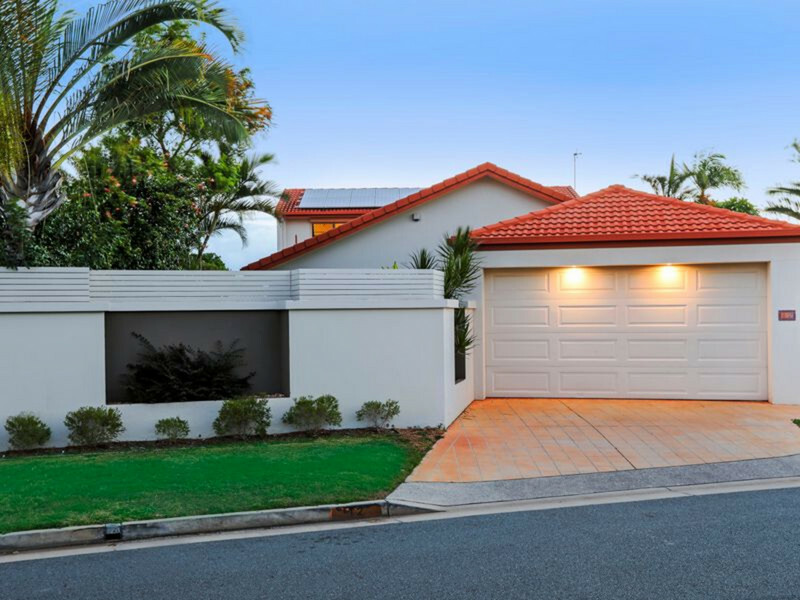 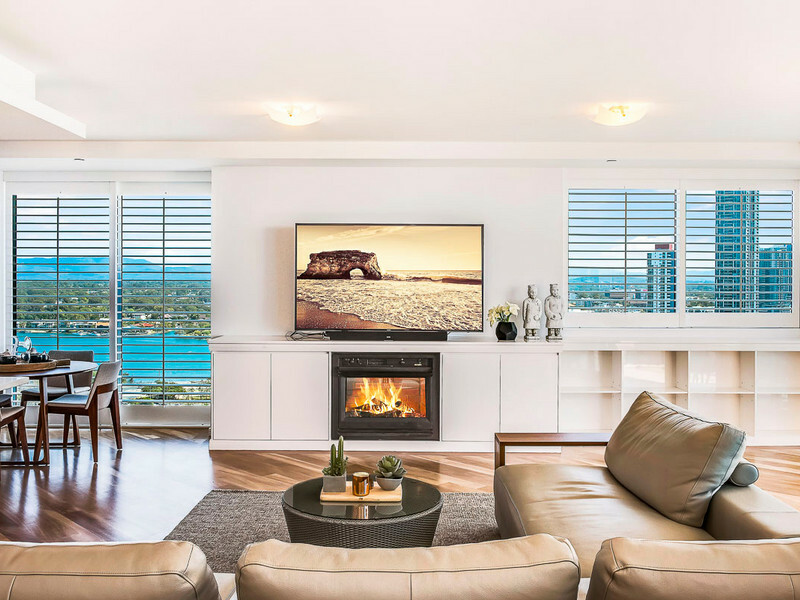 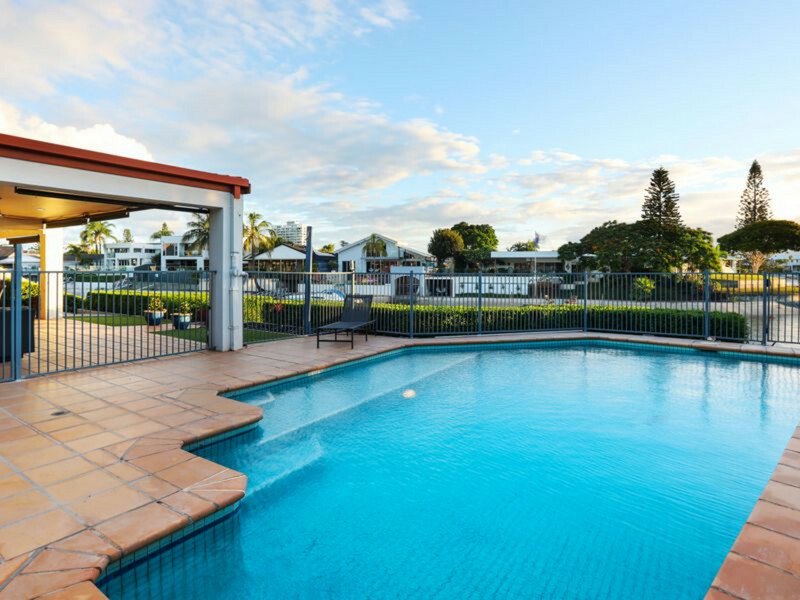 Make your mark in the sought-after suburb of Broadbeach Waters, close to Star Casino, Pacific Fair and world-famous beaches, and enjoy an enviable lifestyle. 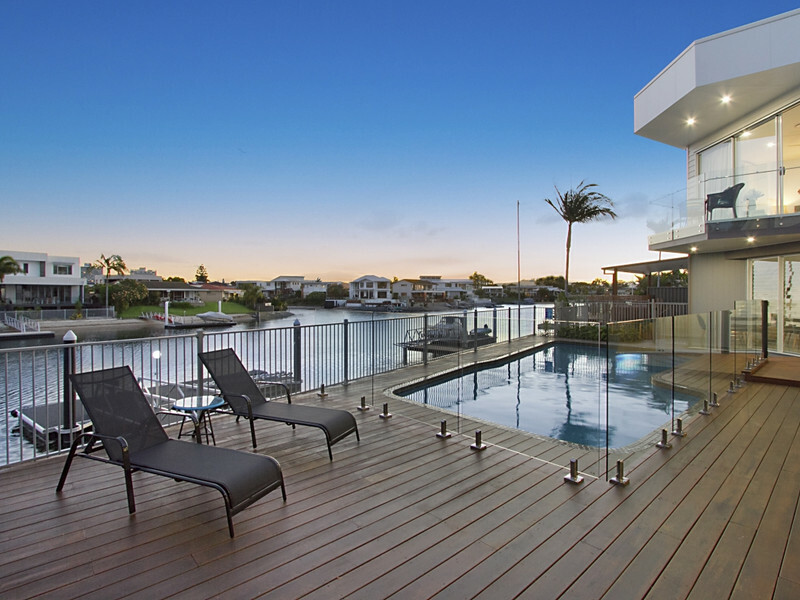 Do not delay, arrange your inspection today.